Ohno, who won eight medals in three Olympics, recently retired from speedskating. His first stint with NBC was at the 2012 London Summer Olympics. NBC also announced that Al Michaels will be hosting daytime Winter Olympic coverage. Michaels has worked both the 2010 Vancouver Winter Olympics and the 2012 London Summer Olympics. Ohno, the 2007 “Dancing With the Stars Champion”, can currently be seen on the Game Show Network hosting a new version of “Minute to Win It”. 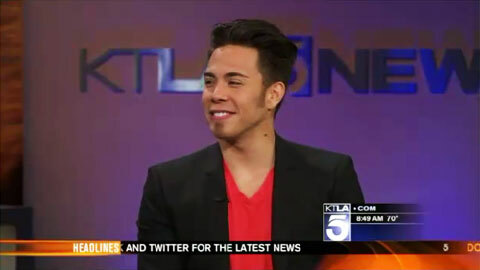 Watch video where Apolo Ohno is speaking to the interviewer about his career. Apolo Ohno is also a dynamic motivational speaker. If you would like to book Olympians like Apolo Ohno for a speaking engagement, guest appearance, golf tournament or special event, contact Apolo Ohno agent’s for speaker & appearance fees or call 800.966.1380.